When Rosewood Sand Hill opened in 2009, it soon became a popular destination in Menlo Park for Bay Area entrepreneurs and executives as well as residents and visitors. A stylish meeting place and hotel within Silicon Valley, Rosewood Sand Hill offers a resort-like experience close to the high-tech hub, Stanford University campus and some of the nation’s foremost venture capital and private equity firms. Appearing to meld with the surrounding landscape, the hotel’s low-rise design is inspired by Californian architectural traditions. Large windows make the most of the natural light while sweeping terraces lead into landscaped flowering gardens, inviting guests to explore and experience nature on their doorstep. The art collection includes contemporary paintings, works on paper, fine art prints and photography with several large-scale, specially commissioned pieces showcasing the region’s spectacular landscape and raw natural beauty. 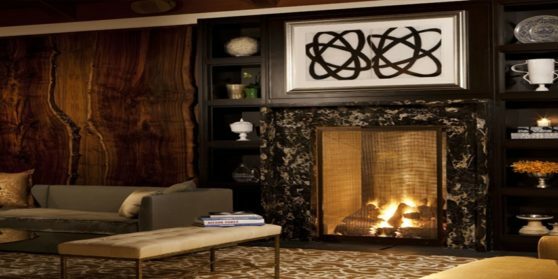 On display throughout the hotel’s public areas and accommodations, the artwork enhances the luxuriously welcoming environment of Rosewood Sand Hill, while reflecting the diverse sensibilities of the Northern California region.